ORIGINAL AREA: 145 sq.m. NEW ADDITION: 100 sq.m. This semi-detached house on a mature street in Dublin 4 dates from the late 1950’s, and has, like its neighbours, been modified progressively over the years. 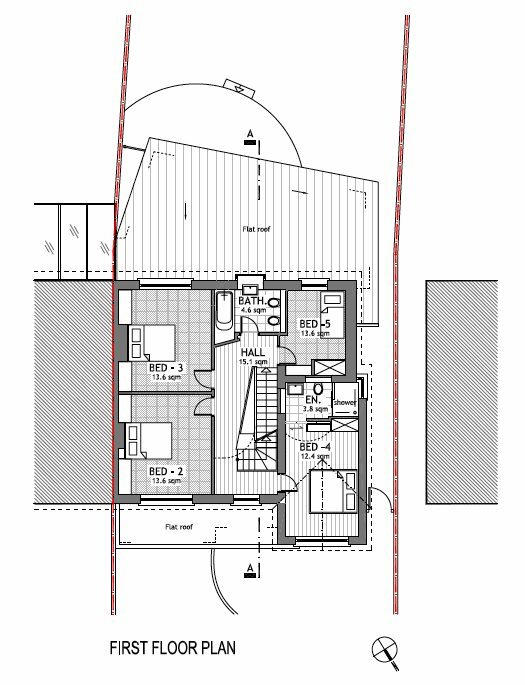 The owners with a growing family wished to maximise the potential space available, upgrade the thermal insulation standards of the building to make it more sustainable, optimise the passive solar gains and natural lighting possible, and reconfigure the layout on all floors to better suit their lifestyle needs. At ground level, a new extension is to be added to the rear, the mono-pitch roof opening like a clam-shell to the southerly aspect, yet shielding the interior from the heat of the midday sun in summertime. 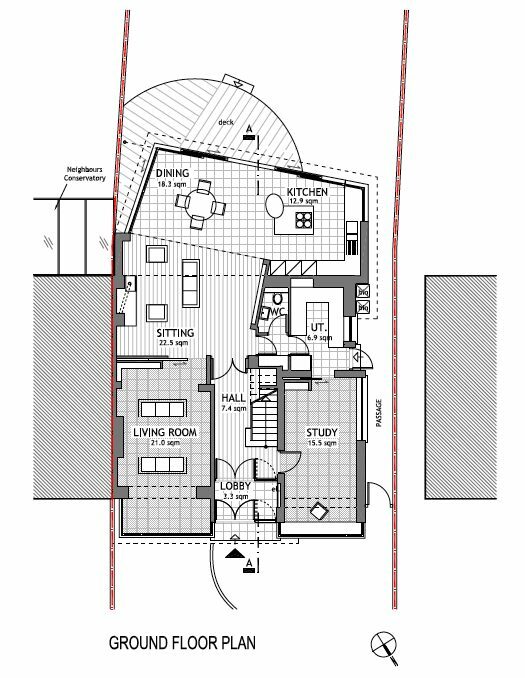 The form of this extension projects into the garden so that the line between ‘inside’ and ‘outside’ is blurred; and the full-height sliding doors open up to make a “garden-room”. 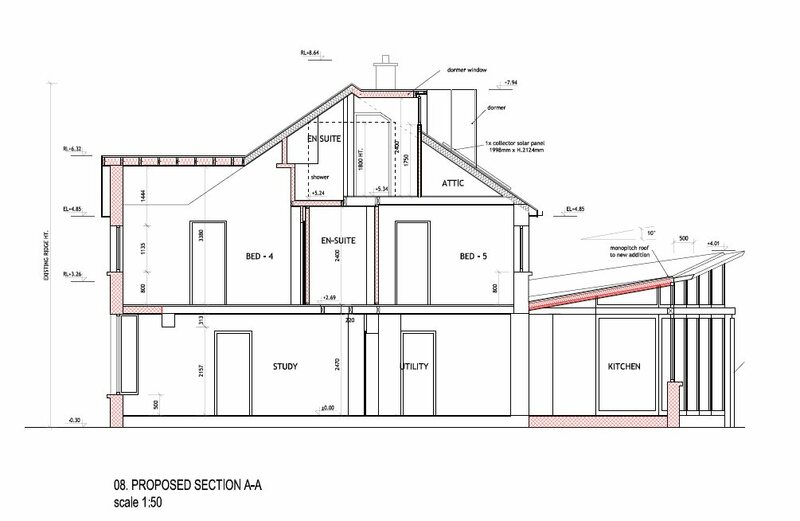 A new extension to the 1st floor provides additional guest ensuite accommodation, with a new hipped-gable to the front façade providing greater interest and articulation to this elevation. 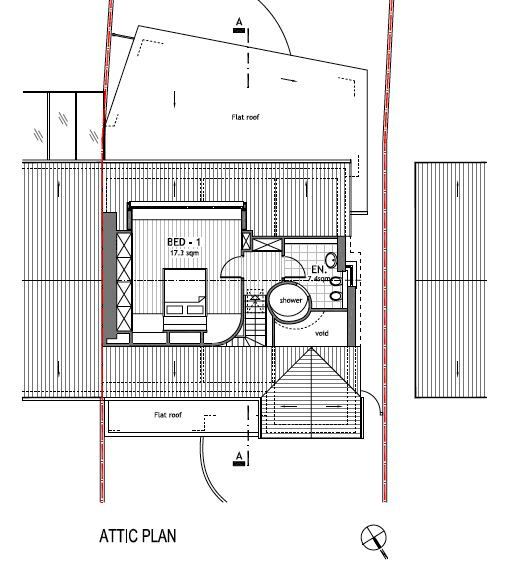 The loft floor is also extended over this new addition to provide a large master bedroom suite, with a large zinc-clad dormer window to the rear.